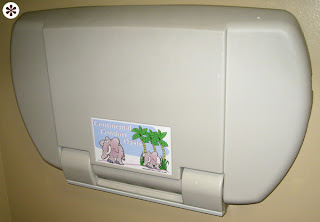 As a parent, you can’t afford to be picky about changing stations. 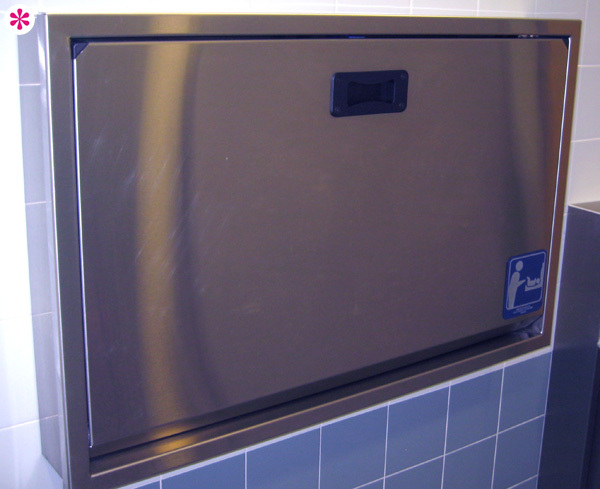 If a public bathroom has one, and it’s clean, you use it. But when you find these nice stainless steel boxes, it sort of makes changing a sh*tty diaper all the more bearable. And while the isotype isn’t particularly accurate or attractive, it at least explains what the stainless steel box on the wall is for without screaming it to the world. By contrast, these lumpy tupperware numbers, are well... lumpy tupperware. The cutesy elephants (which vanish when you open it) are clearly designed for kids, even though parents with oblivious infants are the target audience. 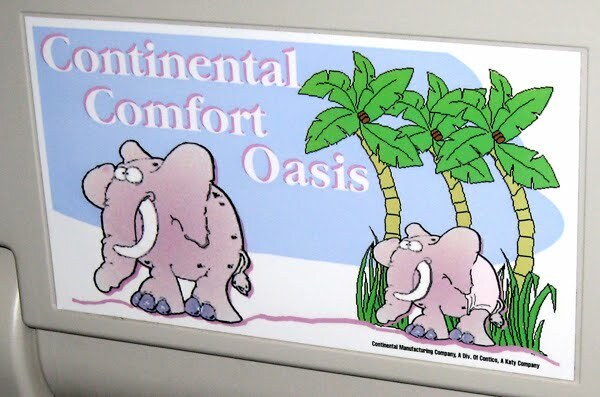 And, oh yes, if you didn’t know, this is a Continental Comfort Oasis; translation: a clueless moron with no kids named this f*cking thing. Reminds me too much of bad diaper design—what a shock! 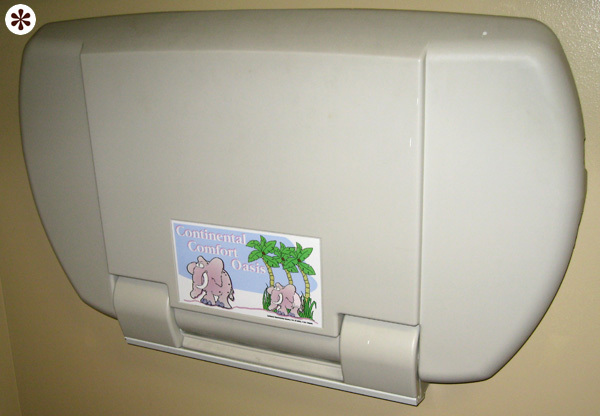 When did cross-eyed hillbilly elephants become the archetype for diaper changing? First pic looks a little like a wall oven. Not sure I'd associate that with a baby... unless I'm the witch from Hansel and Gretel. But still WAY better looking than the alternative. 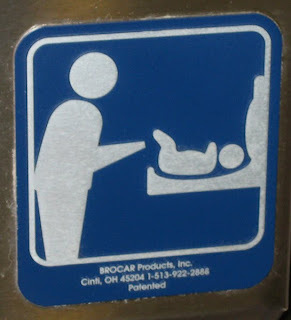 I dunno dude... what IS that stick figure-ish person doing to that baby?? Gah! Yeah, I agree with Kim. The first pic looks like a wall oven. Anyway, better to have that changing stations than nothing at all. I suppose you have to consider context here. A wall oven isn't standard equipment in a public washroom, so common sense pretty much dictates that it's not a device for cooking babies. 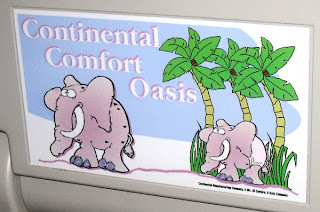 I can't understand what is happening with the elephant's ears... There is something growing out of its nose and the top of it's head.